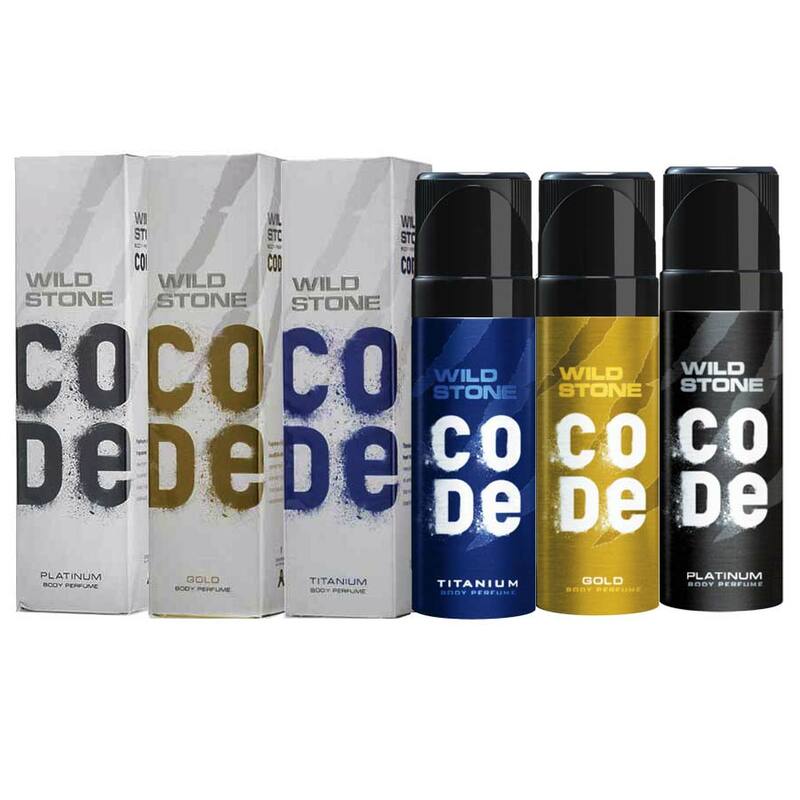 Wild Stone Wild Stone Code Pack Of 3 Body Perfume Spray DeoBazaar.com Wildstone (Wild Stone) code new launched dedorants gold platinum and titanium Combo at lowest prices- Cash on Delivery Available. 100% Original Wild Stone Deodorants Online. Product #: Regular price: Rs.750INR599(Sale ends 01 January ) Available from: DeoBazaar.com Condition: New In stock! Order now! 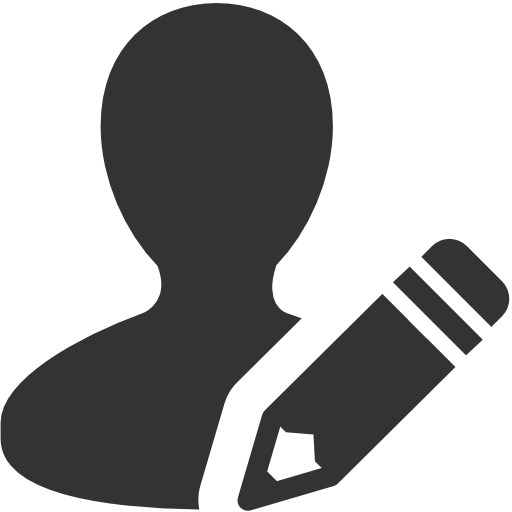 This product is sourced directly from the brand authorised manufacturer. 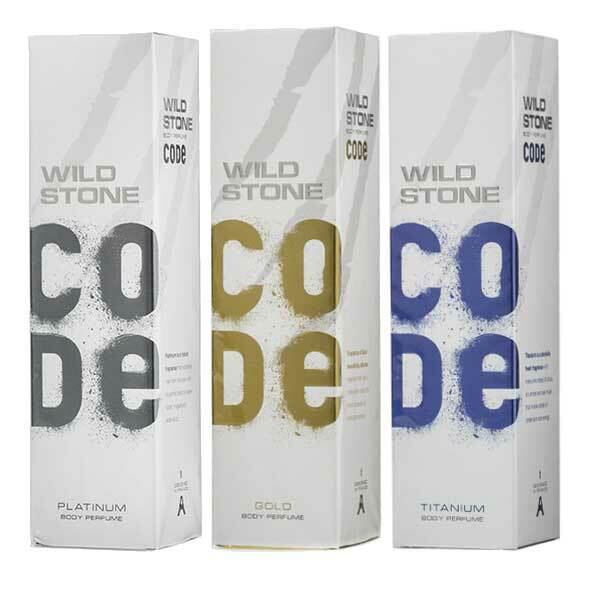 Wild Stone Code Titanium Body Perfume Spray, designed in france launched in 2016 by mcnroe in India. 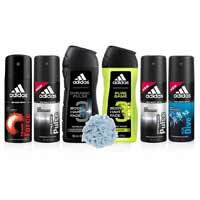 An addicitve aquatic fragrance for men gives you a 6 to 7 hours lasting and protection from bad body odour. Scents top notes are composed with marine woods & tonka beans while base notes are pure sandalwood. A stylish & value for money deodorant spray from the house of Wild Stone.